Who is your favori villain in the Fairly OddParents? 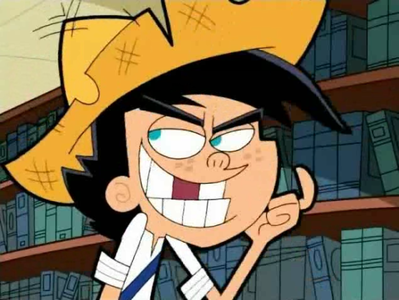 le choix des fans: Mr. Corcker from the fairly odd parents? Do toi think it would be funny of Crocker is related to Timmy? What's Your favori Episode In Season One? If Tootie watches Bleach , which girl toi think she should vote for as Ichigo Kurosaki's Girlfriend ? It had been a mois since we had come to live with AC and AW and it wasn't as bad as I thought it would be. They were really nice to us and hated seeing us sad. When I came back to Anti-fairy world with a black eye thanks to Francis, AC went through the roof when he found out. AW had been with Rose at the time since Croker held he after class, why I'm not for sure probably something stupid ou grilling her about Fairy Godparents. I woke screaming in a cold sweat, cœur, coeur racing and tears coming down. I closed my eyes a count to ten telling myself it was just a bad dream... I heard the door burst open and I saw Anti- Cosmo floating there very worried. Damn It screamed longer then I thought. Timmy was sleeping in his room dreaming about the jour he would marry his crush (A/N: I don't know her name sorry, bros.) As a bark shadow entered the room. The thing pick him up and poofed out of the safety of his room. Wanda woke up and a dit "Good morning Cosmo,"
They poofed into Timmy's room "Good morning Timmy," Wanda a dit trying to wake up her godchild but then noticed he was not there. "Cosmo where's Timmy?" a comment was made to the poll: What's Your favori Episode In Season One? a comment was made to the poll: Do toi like the newer episodes?